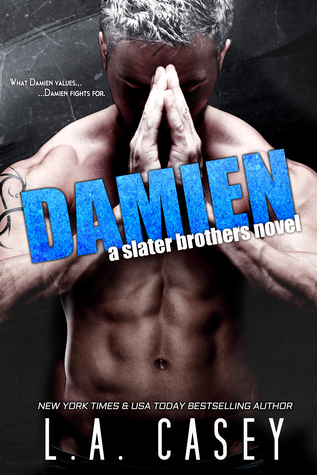 Damien is book number five in the outstanding Slater Brothers series. I love all of the relationships between the friends and families of all the Slater couples. They have such a hilarious and special bond that is so entertaining to read. It is so fulfilling to see everyones lives progressing and the second generation of Slaters coming into this world. Alannah has alway been a shy, sweet woman, who is the most giving person in her group of friends. She often claims that she doesn’t have the backbone to deal with confrontation, but she has now found herself at the center of a whole lot of drama. With family issues, her work getting harder to keep up with, and Damien crashing back into her life, everything is getting more and more complicated by the day. Damien has only ever wanted Alannah. Having regretted what happened between them the the night everything changed, he has been working to become the kind of man that Alannah deserves.